My card for this hop is presented. I found this inspiring and worthy challenge via Darnell's site. Thank you for looking and commenting ... your feedback is always appreciated. Cute card for the hop! 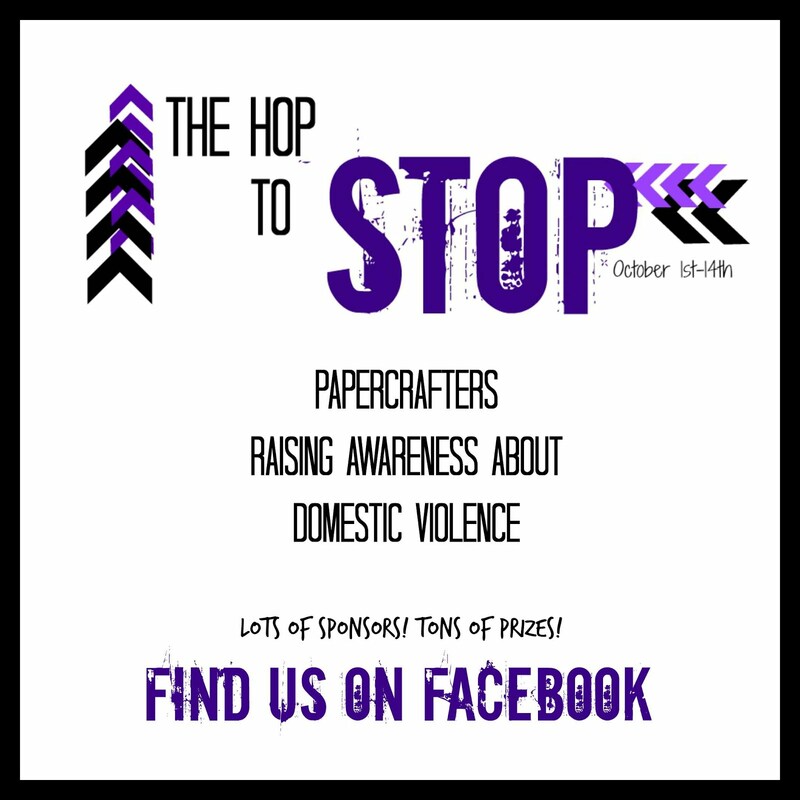 Thank you for caring about domestic violence awareness and for supporting The Hop to Stop! I love your little present card and the caption rocks! Great use of purple for the hop to stop DV! That's so pretty! It would certainly bring a smile to anyone's birthday! Thanks for sharing your card at the Hop to Stop!